Your pet’s oral health must be properly maintained, much like the rest of your family. Poor dental hygiene can lead to decay, trouble eating, and a diminished quality of life. That’s why the professionals at Wailuku Pet Clinic in Hawaii offer residents top-quality pet dental services, so families can ensure the health and happiness of their furry friends. Below, these veterinary experts offer some helpful tips to start a solid oral hygiene regime at home. Certain pet products are designed specifically to promote good oral hygiene. For instance, treats containing polyphosphate help reduce tartar buildup, as chewing these helps clear away bacteria and food particles. Also, look for the Veterinary Oral Health Council seal when shopping, as these are considered the safest options for your pup. 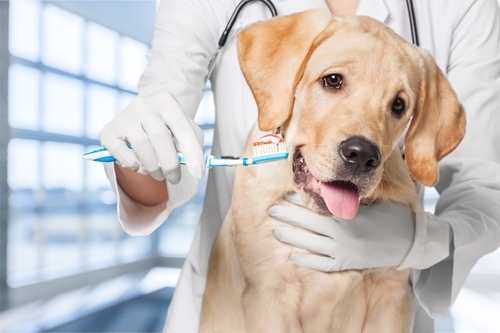 Pet dental service experts recommend brushing your animal’s teeth on a daily basis, as bacteria can easily build up and lead to harmful dental conditions, such as cavities and, eventually, tooth loss. To avoid this outcome, buy a brush and toothpaste designed for your pet, and gently clean all their teeth and their entire tongue. Lastly, be on the lookout for common signs and symptoms of dental issues in pets. For example, drooling, bleeding or swollen gums, foul breath, and problems with chewing typically signal gum disease, which has the same effect on canines as humans. If you need a qualified pet dental service for your furry friend, turn to the knowledgeable and caring experts at Wailuku Pet Clinic. This animal care center offers state-of-the-art technology and a broad range of treatment options to ensure your cat or dog remains healthy. Give them a call today at (808) 244-7275 to schedule an appointment, and visit their website for more information on what they do.